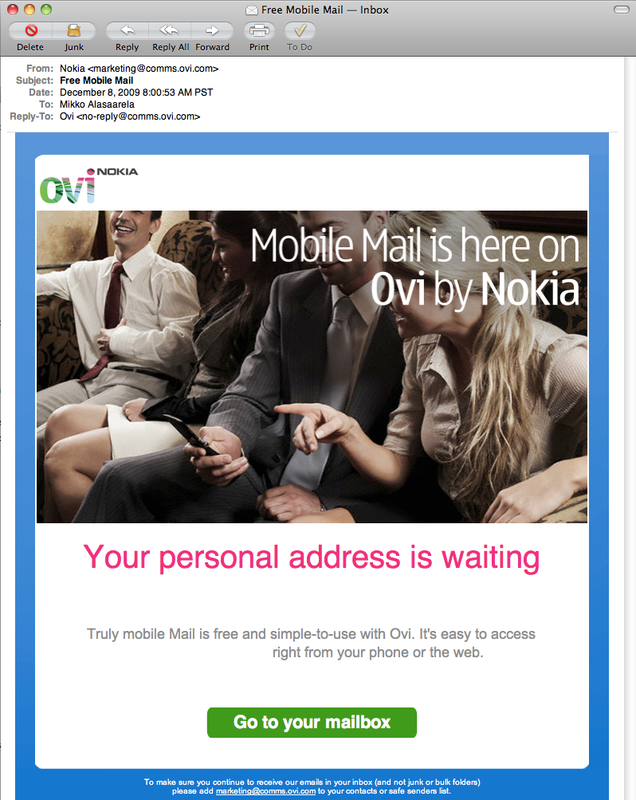 I just got a marketing email from Nokia promoting heavily their mobile email service. I decided to give it a try, and clicked the button on the email. However, the landing page on Ovi was just showing me a system error. This is not the way to gain consumer confidence, Nokia. Hei Mikko- sorry for the trouble and thanks for flagging. Should be working now for you, Pls email me if not and I am happy to help. Jason, thanks for getting back. I managed to login to the mail now.